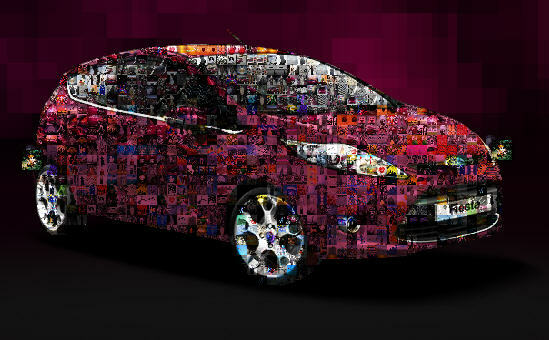 Ford | MaghiarDigiCreatics: Online campaign creatives. Online branding. Online communication. Even though I’m sure we will see more in 2009, the new generation of brand-related photosharing is also with us. OK, I know the two examples I raise here are not Maghiar-only ones, but I am pretty impressed that are available in Hungarian. There are 8 languages in total, it’s too bad that the Hungarian version has become live four days after the launch of the Hungarian online campaign start, but the Facebook api was ready. The conception is simple, the usage of social marketing and the technical solution is inspiring. Don’t want to be unfair, it is obvious, that such products may appear online only if Hungarians adapt a central development. But keep focused on what’s happening on the market and grab the chances of creating something special. Your customers will appreciate it.